The tragic love story of Romeo and Juliet has captured our imaginations for some 420 years. It’s no surprise then, that it has been subject to numerous adaptations and retellings. One of the great beauties of Shakespeare’s work is that it is timeless. The subject matters and themes of his plays are not bound to the historical era in which they are set, nor the era that they were written in. And, because he wrote about things that are perpetually relevant, it is no wonder that we keep returning to his work. Romeo and Juliet, the plot of which Shakespeare stole from an older Italian tale, is one of the finest examples of this timelessness. Young lovers, from warring families, who are forced to elope and meet with tragic circumstances - this can never by described as an exclusively sixteenth century story and it will be just as relevant 400 years from now as it is today. 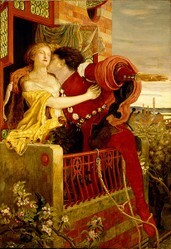 Why is Romeo and Juliet so Popular? Shakespeare is great, we can take that as a given. He wrote beautifully and was capable of expressing emotions that most of us can’t even get clear in our heads let alone express in the written word. However, if this alone accounted for the continued love of Romeo and Juliet, we would simply see endless film versions of Shakespeare’s version. Instead, what we have is a wealth of Romeo and Juliet adaptations. So, the genius of Shakespeare’s craft cannot be the sole cause of the play’s popularity. Rather, there is something about the basic plot, which, in actual fact, we can’t thank Shakespeare for, that draws us in. The fact of the matter is, we love to see angst-filled men and women, who are passionately in love, but for whom fate, family or fickle affections have other plans. We need only look to Wuthering Heights, James Cameron’s Titanic or the legend of Orpheus and Eurydice. We love a good, heartbreaking tale of lovers separated. So, it should come as no surprise that Romeo and Juliet has been picked up, time and time again, adapted, modernized and/or given a little twist to create something new, but unmistakeably Shakespearean. Here are just a few of the many film adaptations of Romeo and Juliet. Arguably the most popular and well-known adaptation, West Side Story is set in 1950s New York, where rival gangs: the white, working-class Jets and Puerto Rican Sharks, fill their spare time fighting each other. One of the Jets, Tony, sees Maria at a local dance and falls madly in love with her. There’s just one problem: Maria is the sister of Bernardo, the leader of the Sharks. Meanwhile, the Jets and the Sharks are planning a ‘rumble’, in which they will determine, once and for all, which gang is better. Maria and Tony plan to run away and get married. However, when Tony tries to stop the fight between the gangs, all hell breaks lose. Riff, his friend, is stabbed by Bernardo and, in a fit of rage, Tony kills Bernardo. Later, Bernardo’s girlfriend, Anita, tells the Jets that Maria has been killed by Chino, the young man who would be Maria’s suitor. Devastated, Tony goes to confront Chino and, as he comes face-to-face with the still very much alive Maria, he is shot and killed by Chino. Executive produced by Elton John, Gnomeo and Juliet is quaint twist on the tragic lovers' tale, that takes place in two neighboring gardens. 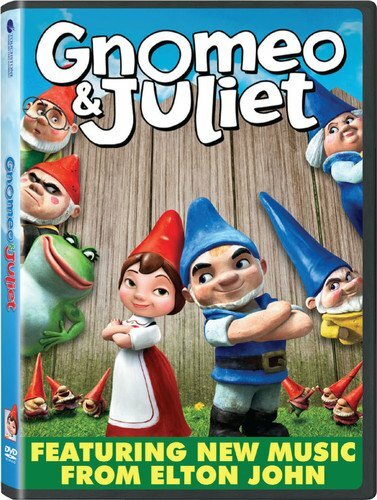 The gnomes of the Montague and Capulet gardens are at war, but this doesn’t stop Gnomeo from falling pointed blue hat over heels in love with Juliet. The sweet tale is comedic and, unlike its namesake, does not include any death. Instead, the writers of Gnomeo and Juliet have opted for a child-friendly, happy ending. 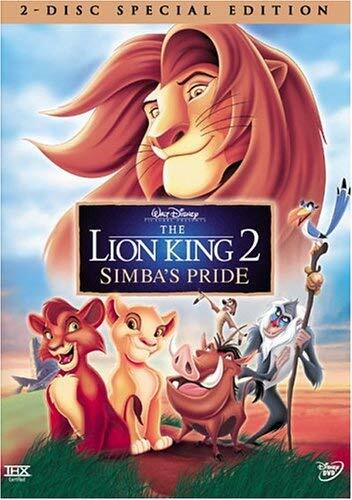 The first Lion King film was based on Shakespeare’s Hamlet, when it came to the sequel, they choose Romeo and Juliet. In The Lion King 2, Simba’s cub, Kiara, has inherited her dad's sense of adventure and, against her his instructions, leaves the Pridelands. There, a group of lions, who have remained loyal to Scar are plotting their revenge. The leader, Zira, plans to use her cub, Kovu, to destroy Simba. However, Kovu and Kiara meet and....yes, you've guessed it: fall in love. Directed by Andrzej Bartkowiak, Romeo Must Die is an interesting take on the classic love story. Starring Jet Li and Aaliyah Haughton, the film takes Shakespeare's tragedy and gives it action, martial arts and guns. 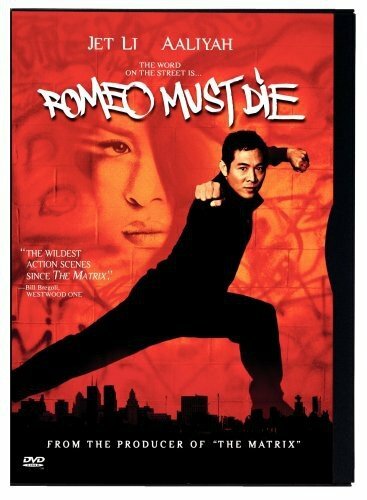 Romeo, Jet Li, is an ex-police officer, who is seeking revenge against the mobster who killed his brother. The mobster in question has a daughter, Juliet, and Romeo, as he is apt to do, falls in love with her. As Romeo and Juliet adaptations go, this one should not be taken too seriously. A comic twist on Shakespeare's original, the film revolves around two warring families, who run rival Italian restaurants, which operate on opposite sides of the Bronx. 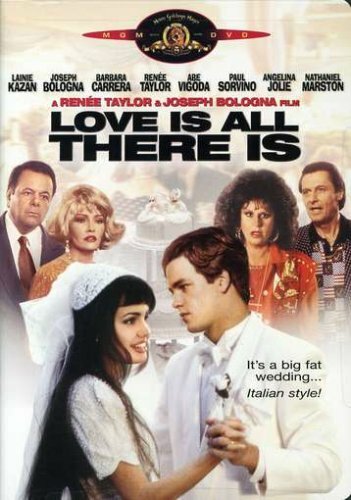 Starring Angelina Jolie, Lainie Kazan and Joy Behar, Love Is All There Is is not the most well-known nor, perhaps, the best adaptation of Romeo and Juliet, but is still worth a look. What's Your Favorite Romeo and Juliet Adaptation? Hello Marko, thanks for sharing your experience at Juliet's house. You're right, I think it touches us all, because we either know or want to know what that kind of love feels like. And, of course, it is testament to Shakespeare's genius! Very true, just came back to check out the movie titles again. I think the next film I watch will be Romeo Must Die, but my daughters haven't seen West Side Story, that will be a good one too. Hello Katie, thanks for reading and commenting. Gnomeo and Juliet is a very funny movie in parts. Like so many 'kids' films these days, it's not just for children. There's plenty of humor in there that adults can appreciate, too.